If small and funky with a unique personality feature highly on your car buying guide then you should check out the Opel Adam. It’s Opel’s first foray into the city car market and it has thousands of combinations to make it as manly or as girly as you like. Our test car was a personalised Glam model, with a purple body and a white roof, with the wing mirrors mimicking the roof colour. Inside, the four-seat cabin is surprisingly spacious, with nice stripe effect leather and cloth upholstery and a patterned black dashboard. The recessed glove compartment on the passenger side offers good legroom. The rear looks quite small but I found there was adequate space to comfortably seat someone of my height (5ft 5in), behind a driver of similar height. The boot is another revelation. While it looks tiny it is narrow and deep and was quite adequate for luggage for two people for a self catering weekend trip. A return stop at the supermarket for the weekly shop was a step too far for it though. 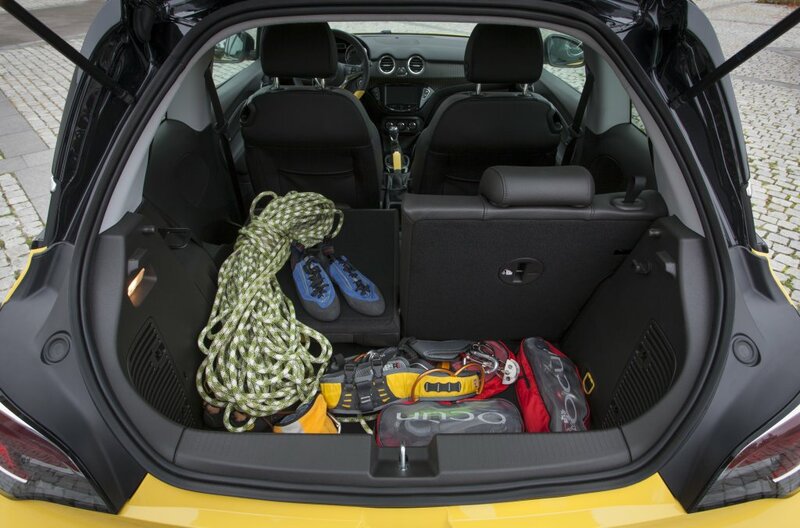 The cargo space can of course be made bigger by folding the rear seats. This was easily done with the pull of a lever. The seats don’t lie flat though. Infotaintainment is provided for via a nice touchscreen unit with radio, a USB port and an aux jack – the latter two well located at the bottom of the centre console. The test car also had a glass roof, Bluetooth, and cruise control/speed limiter, which maintained the selected speed when you changed gear. Storage in this little city car was also well thought out. There were a nice number of cubbies scattered throughout the cabin, with the bottle holders in the doors big enough to take a 1-litre bottle. Those in the centre console and the glove compartment are better suited to smaller bottles and cups though. Our test car was a five-speed manual 1.4-litre 100ps petrol model and our route took us on city and rural roads, as well as urban and national motorway. I found it a lovely car to drive, gliding along in the city, with city steering mode making it really light and easy to park. Auto start/stop was also handy when you’re stopped in traffic. Acceleration was also nice and it was quick enough at the lights. It proved to be a steady climber from 0-120kph on the motorway. 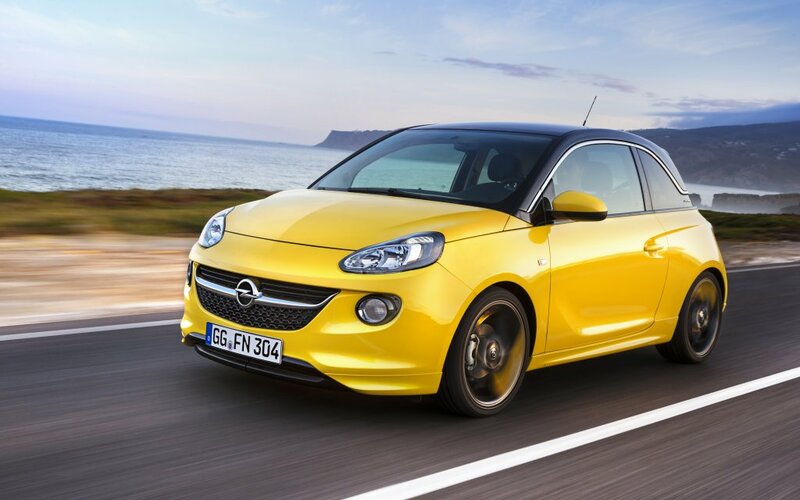 Overall, I really enjoyed the Opel Adam. It’s a cool little city car that can more than hold its own on the motorway. Three basic specification packs are available in the Adam – Jam, Glam and Slam – with personalisation options available on each model. Prices start from €14,995 for the Jam, with prices for the Glam model I was driving, and the Slam model starting from €16,995.